In reference to the previous day's post, you really didn't believe we were satisfied with sharing a tray of steamed shellfish and a bowl of watery clam chowder for a meal right? So in addition to more Whales Tails for the kiddies, we went for some more eats in the food court at Lonsdale Quay. Staring right us from our table, which ironically was the same one we sat in the day before (no exactly staring us directly, we could see it through the All Day Cafe), was Montgomery's Fish & Chips. Hey, stay on the seafood theme right? 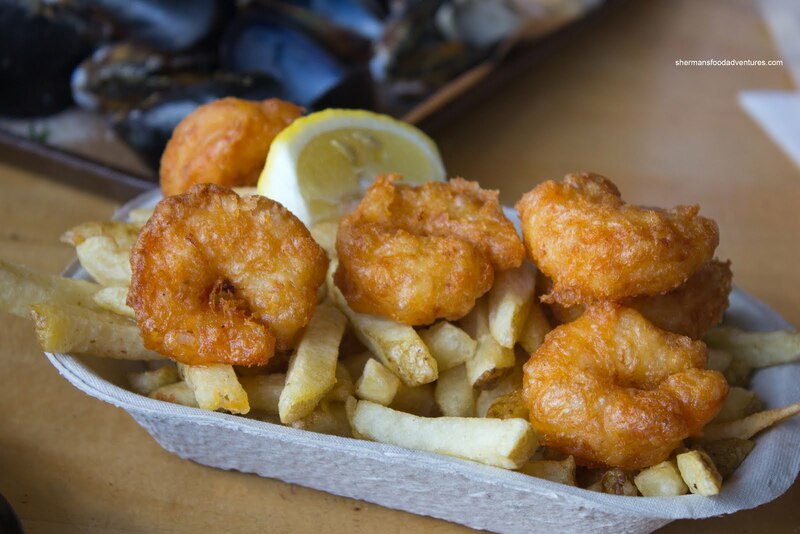 And besides, why not some good ol' fried goodness to go with our "healthy" steamed shellfish? As I was lining up to order, I noticed their daily specials and decided to get both. The first was their Prawn & Chips. Although the 6 prawns didn't look all that substantial, the good amount of fresh cut fries made up for it. The fries were crisp and none-too-oily. As for the prawns, they were fried perfectly being crunchy and moist. The batter was not too thick and crisp as well. I also got 2 orders of their 1 Piece Cod and Chips. Admittedly, the cod was rather thin and wasn't all that filling either. Granted, it was only $7.15 and in a touristy market. However, it was fried nicely though with a thin batter which was crispy and minimally greasy. The cod was moist and flaky. In the end, the grub did the job and didn't break the bank. 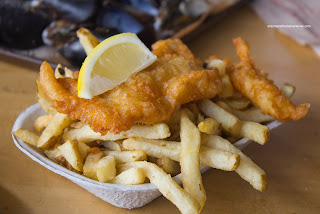 Of course there are many other fish 'n chip joints to choose from around town. 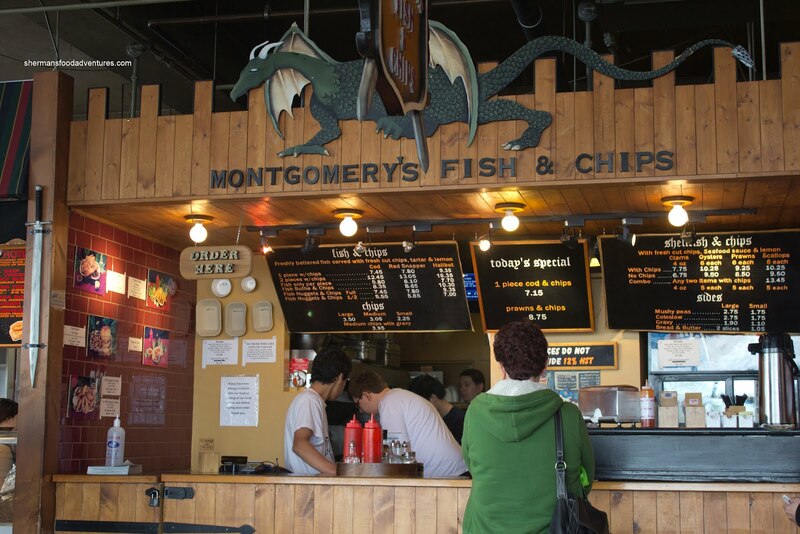 Yet, Montgomery's benefits from location and a steady stream of customers.